CPT SMASH shares a little bit about himself and how he came to be a personal trainer and strength coach up in Ottawa, Ontario in the above video. Owner and primary coach for SMASH's Strength Lab on Ogilvie Road, he is committed to bringing you the finest personal training experience in a private training facility where he puts you through a great workout that always leaves you feeling like you got an amazing workout, but are not left feeling totally crushed after a workout. CPT SMASH prides himself on utilizing a variety of methods to accomplish a clients goals, focusing on a results based method of training that is sustainable for a client as they progress in strength, age and change in lifestyle. Brought to you by CPT SMASH, retired military captain, private personal trainer, strength coach, powerlifter and owner of SMASH’s Strength Lab, a private personal training studio in Ottawa, Ontario with a constant dream of helping middle age women (and men) get into great shape through Strength Training, Conditioning and Nutrition. Contact me today to let my team of qualified coaches and personal trainers help you along your path to fitness! We’re Invested in You, And Dedicated to Your Fitness! Jesse “Captain Smash” Howland is the owner of SMASH’s Strength Lab, which offers targeted personal training to reach a variety of fitness and physique goals. 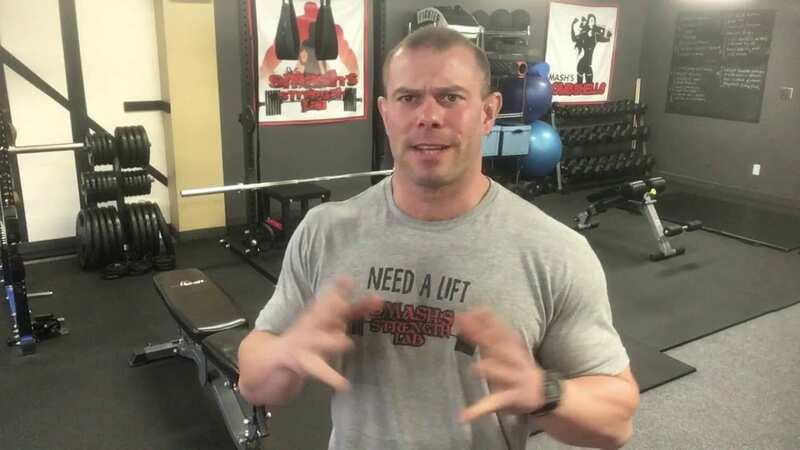 A natural bodybuilder, competitive powerlifter, certified personal trainer, and nutrition coach, Jesse is often the go-to resource for personal training Ottawa. He studied Exercise Science at Oregon State University and even trained at the world famous Gold’s Gym. He’s a former US Army Captain with the 86th Infantry Brigade Combat Team, a former blog writer at Veterans Fitness Career College, and former Chief Executive Officer at U.S. Army Forces Command (FORSCOM). His workouts and personal training are army-inspired to help reach your weightloss, athletic, or physique goals. Jesse "Captain Smash" Howland is the owner of SMASH’s Strength Lab, which offers targeted personal training to reach a variety of fitness and physique goals. A natural bodybuilder, competitive powerlifter, certified personal trainer, and nutrition coach, Jesse is often the go-to resource for personal training Ottawa. He studied Exercise Science at Oregon State University and even trained at the world famous Gold's Gym. He's a former US Army Captain with the 86th Infantry Brigade Combat Team, a former blog writer at Veterans Fitness Career College, and former Chief Executive Officer at U.S. Army Forces Command (FORSCOM). His workouts and personal training are army-inspired to help reach your weightloss, athletic, or physique goals.